Throtl does Formula D Long Beach!! 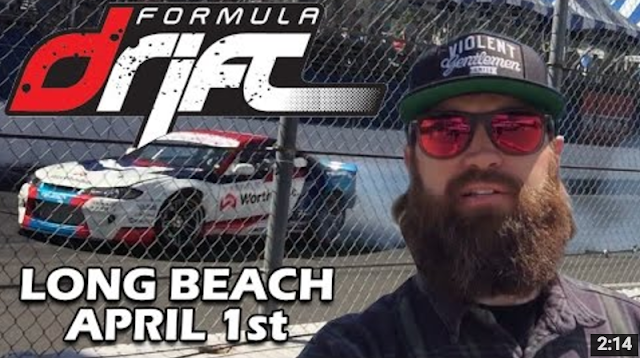 Throtl staffers Evan Beckerman and Mickey Andrade spent there weekend at Round 1 of Formula Drift in Long Beach, California. They were gracious enough to take their cameras out and film some of their experience. Click here to see for yourself what went down and leave us a comment!